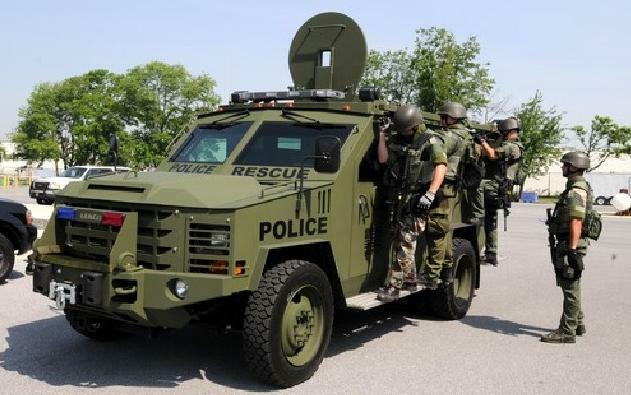 Over the years, law enforcement has shifted towards heavy militarization. Agencies have acquired tanks and surplus military equipment, suggesting there is a civil war between citizens and the police. Inventory of local police departments and county sheriff’s office have grown to include armored trucks, personnel carriers, grenade launchers, tear gas and bean bags. Meanwhile, community concerns and questions have increased about the need for this type of equipment among law enforcement. Some law enforcement officials contend that militarization acts as a deterrent; one police department in a Georgia town stated that having the equipment precludes having to use it. Currently, several police departments are under fire for excessive use of force or discriminatory practices. To understand policing in America, it is important to examine its history. Police derive their authorization and resources from local elected officials. This outlines duties and powers. Specifically, the 19th century political era allowed for a wide variety of activities for police organizations such as crime prevention and control and many social functions in the community. Law enforcement agencies are organized in a centralized quasi-military hierarchy. Officers walk beats, respond to crimes and community disorder and mediate law enforcement issues. Savvy politicians recruit police officers from the ethnicity that they would serve. Most politicians also required officers to live in the neighborhoods in which they worked. This relationship changed when external groups saw this dynamic as a conflict. In the mid-1990s, the United States Department of Defense established the 1033 program. This gave state and local law enforcement agencies access to surplus military equipment including night vision glasses, body armor, helicopters, 45-caliber handguns, first aid supplies, armored vehicles, surveillance equipment and protective gear. The equipment and supplies are free; no cost to taxpayers. There has been a regular string of critics to the program. When the military distributes, there is a rush by local law enforcement to grab as much as they can. One state inventory tally added up to $200 million, More and more, local law enforcement organizations are beginning to look like military installations. Some critics have called for the program to be shutdown. This current trend in American policing has observers calling for change; police officers should treat citizens with civility, not with a “Rambo” style mentality. It is the latter approach that causes the local community to view the police as enemies rather than community partners. There are law enforcement professionals that believe sound community policing can help mitigate citizen’s fears. According to Wayne W. Bennett and Karen M. Hess in Management and Supervision in Law Enforcement, community policing dimensions are philosophical and strategic rather than just programmatic. It requires citizen input and personalized service for the community.